So quick summary since it's been a while. I got this guy as a baby about 6 months ago. At that time I had my previous O and he was the baby of the tank. After that O passed and I got cranky this Sev went from being the quiet baby to trying to run the tank. IN THE BEGINNING the sev would chase cranky "the new o" around. Over the course of the 6 months cranky outgrew the sev. Now there is no chasing, for the most part everyone stays to themselves. Only time there's any back n forth between the 3 is during feeding. The bigger sev has always been in great shape and has colored great since buying him dull green. For as long as I could remember possibly the whole 6 or 7 months the red spot sev has had splitting fins. My water quality is always under control and I do water changes weekly only rarely do I go 2 weeks but even with that water never goes above 20 in nitrates. What else can I do or is there something I could add to help his fins? Guys, Thanks for the help!! There's nothing you can do for split fins. It will either go back to normal or stay split for life. 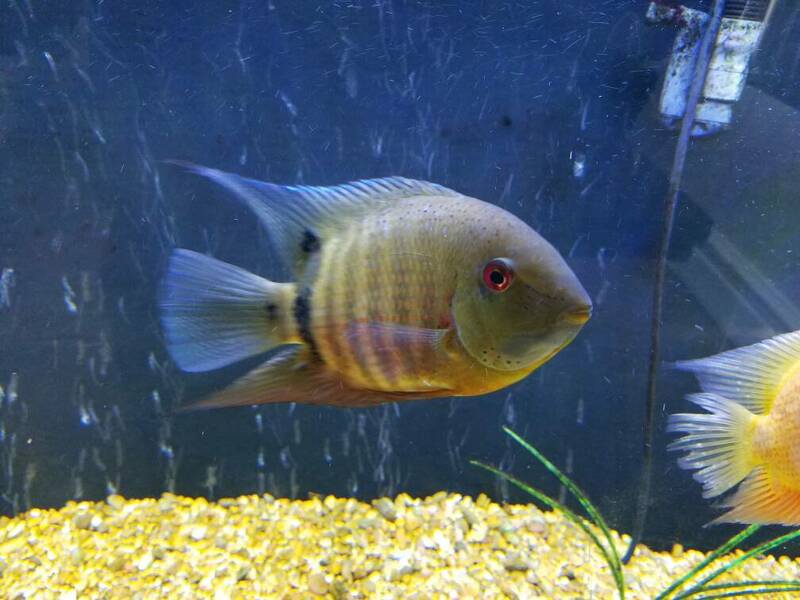 My male Rotkeil has a pectoral fin thats rarely better than 50%. Sometimes a tad more, sometimes barely there. Been that way for years, he seems unaffected by it.